Long Journey Home by Cathy Lemoine Sturgell which tracks Coco genealogy back more generations. The information on this page was originally published in the Marksville Weekly News in 1995 along with a map of France showing the locations of the some of the French surnames of Avoyelles. In 1999, during the Louisiana Tricentennial, this map and short history of the names was distributed to 19 towns in France during a tour of French ancestral towns. A group of Avoyelles descendants traveled by bus and were warmly welcomed back by town officials in all nineteen of the stops on the tour. Most of the original caucasian settlers of Avoyelles have French origins. The original 50 or so families who settled in Avoyelles in the late 1700s mostly came from Pointe Coupee, and for the most part were the children or grandchildren of direct-French immigrants, known locally as French Creoles, not to be confused with the Creole families of New Orleans. A few of these early Avoyelles families came through Canada - but none were part of the famous Acadian expulsion. Therefore, the French in Avoyelles are not bloodlined with the Acadian families of south Louisiana who have a completely different set of surnames within the United States. When you hear one of these names when you are in New York or California, you can be almost positive the person with one of the names on this webpage has ancestors in Avoyelles. This first wave of French settlers to Avoyelles came after the flood of 1780 which covered much of Pt. Coupee. The flood safe prairie of Avoyelles is high above the Mississippi Flood Plane. Avoyelles Parish is still home to the descendants of the first families of Louisiana. The surnames of Avoyelles today greatly represent the first census of New Orleans and Pointe Coupee in the early 1700s. The first families of Lousiana are alive and well, and living in Avoyelles. Just check the phonebook today to see the names. Since Avoyelles was settled by 1781, we choose 1781 as the original web address for this web page at geocities. After Geocities closed, we moved the page to this domain of avoyelles.com. The second wave of French migration into Avoyelles came in the mid 1800s, as several direct French immigrants came to the Mansura-Marksville area. Some of these later french families were: Brou, EscudÈ, Durand, Casteran, Caubarreaux, and Maillet. The following list of names has been compiled over a period of time, and documented from various sources. The compiler, Randy DeCuir, has recently visited France twice where he has studied some of the areas. Mr. Laurent Bourgouis of Thuin, Belgium, has identified the modern day locations of most of these ancestral native towns. ANDRIES - John Andries, native of Belgium, resident of Echo area on Avoyelles-Rapides border, filed for American Citizenship at Avoyelles Courthouse in 1868. Armand - Joseph Armand native of Metz, Province of Lorraine, France. Northeast France near border of Luxembourg. He migrated to Canada where he served as a soldier at Louisburg, Nova Scotia. In 1766 he was deported along with the Acadians to Louisiana, and made his way to Pointe Coupee, then Natchitoches, Many of his descendants came to Avoyelles. Descendant Glen Armand of Alexandria, Louisiana has detailed the Armand family in bookworm. Aymond - Jean Aymond, born at Strasbourg, France before 1765. Stasbourg is located in Northeast France in Alsace near the German border. Greg Aymond has further researced that: Church records show that Michel and Catherine Aymond, and two children, Jean and Marie, arrived in Louisiana from Mortsi, Bishopric of Strasbourg,Alsace - France by 1771 (at which time Marie married Noel Etienne Arvieux).Those same records tell us that Michel and Catherine resided in St. John the Baptist Parish, La. We do not know if any other children were left in France or came with them to Louisiana. (Greg Aymond)Mortsi may be Mortzwiller, Haut Rhin, Alsace OR Mutzig, Basse Rhin, Alsace. Barbin-deBellevue - Louis Barbin, who was appointed by King Louis XIV in 1703 to a position in Louisiana was probably from the town of Melun, lying on the right bank of the River Seine some 40 kilometers southeast of Paris, France in the Department of the Seinve and Marne. Some of the descendants later took on the name of deBellevue. Two castles in Melun, Chateau don Pierre and Chateau Champs, belonged to various members of three Barbin brothers, Claude, Pierre and Charles. Their relation is not known yet to the Avoyelles Barbins. Harold Barbin speculates that Claude Barbin had Baltazare Barbin who had a son Charles who had Francois Barbin who may be the father of Louis Barbin who came to Louisina. Another family of Barbin's moved to Avoyelles in the 1850s from Paris. At least one descendant thinks there was a connection between the families. Baudin - Barthelemy Cresence Baudin, born 1811 at Marseille, on the Mediterranean Sea in Southern France, migrated to Avoyelles in the 1850s. Beridon - Louis Beridon, forefather of the Beridons of Avoyelles, was born in 1822 at Bordeaux , an inland port city in Southwest France. Bielkiewicz - Henry Bielkiewicz was born in 1834 at LeHavre, a large port city on the English Channel in Normandy. He migrated to Avoyelles and is the forefather of this family. Bize - Victor Bize, born 1836 at Nestier, France, Dept of Hautes-Pyrenees, in Southwest France, migrated in 1850s, filed for citizenship at Avoyelles in 1871. Bowie - An Anglo Saxon name, the first Bowie to live in Avoyelles was the family of Rezin Bowie, brother of Alamo hero Jim Bowie. There are mullato Bowie families in Central Louisiana, who probably descend from Jim Bowie, free man of color, who was born before the Civil War in Catahoula Parish. Some of these current families say they are descendants of the famous Jim Bowie. Bringol - Jean Nicolas Bringol and his wife, Elizabeth Nicolan, along with their eight children, Constant, Marie, Jean Nicolas Emile, Jean Batiste, Adelphine Hortense, Marguerite, Felicite & and Gertrude, migrated from Canton de Rechicourt-le-Chateau, arrondissement de Sarrebourg, in the former "departement de la Meurthe", now "departement de la Moselle" in the "region Lorraine", France. The family departed France through the port of Le Harve, on the ship "Megunticook", arriving in New Orleans, LA on March 7, 1846. Jean Nicolas Emile and his younger brother, Jean Batiste Bringol then relocated to Avoyelles Parish, between 1850 and 1855 where they settled and married sisters. Jean Nicolas Emile married Catherine Smith on January 13, 1876 at which time they acknowledged their seven children. Born of this union were: Eugene, Eugenie, Eleanore, Etienne Alexandre, Emile Jean Batiste, Elizabeth, and Emilie. Jean Nicolas settled in Section 6 of Ward One (Effie-Ruby Poad) of Avoyelles Parish. Jean Batiste married Ann Smith on March 30, 1859 and settled in Egg Bend (Fifth Ward) on the right decending bank of the Red River in Avoyelles Parish. Born of this marriage were seven children, Josephine, Marguerite, Julienne, Euphorise, John Batiste, Hortense and Lonnie. Jean Batiste was the owner/operator of the first steam operated cotton gin in Avoyelles Parish. He was a constable from 1866 to 1870 and a Justice of the Peace from 1876 until his death in 1884. The New Orleans "Daily Picayune" dated May 6, 1884 obituary read: "Died. Bringol - At his residence near Egg Bend, on Red River, April April 17, 1884, at half past 10 P. M., Jean Batiste Bringol, a native of France". Cailleteau - descend from Eugene Jean Baptiste Cailleteau, born at 1799 at St. Prix, France. His title was Lord of St. Prix, in the Dept of the Ardenne.. The Ardenne hills and forest region in northeast France. Cailleteau settled at Marksville where he married Irene Broutin. Carmouche - Jean Baptiste Carmouche dit Lorrain,born about 1692, ancestor of the Avoyelles Carmouche family, was a native of St. Laurent de Pont-de-Mousson, France. Pont-de-Mousson is located halfway between the cities of Nancy and Metz in the northeast corner of France. Nelson Gremillion in later works puts Jean Baptiste' birthplace as L'Ayrane, Bishopric of Taille, France. Carmouche migrated as a locksmith from the port of Lorient, on the ship Gironde in 1720 to Mobile where he married and his son, Joseph Carmouche was born about 1742. Jean Baptiste died before 1753, at which time his estate included a plantation outside the city and a house and lot on Bourbon Street in New Orleans. Joseph married at Pointe Coupee in 1764 to Marie DuCote, and they had at least nine children, moving to Avoyelles about 1785. Their oldest daughter, Julie, married Marc Eliche, the founder and namesake of city of Marksville. Casteran - Jacques Casteran, born 1834 at dept. of Hautes-Pyrenees, in southwest France. Caubarreaux - Andre Caubarreaux, French immigrant to Avoyelles, was born about 1849 at Pau, in the South of France at the base of PyrÈnÈes Mountains. Cayer - Louis Cayer migrated to Avoyelles in the 1800s from Bougie near Caen. This is proably the same as Bougy, near Caen in Normandy. Mrs. Cayer was a Pottier from near Alen∞on, north of LeMans. Charrier - Louis Antoine Charrier, native of Nion, Poitou, France, married 1785 at New Orleans to Marie Ache, native of St. Malo, France. They are the ancestors of the Charrier family of Avoyelles. Charrier's parents were Louis Charrier and Marie Delormo of Nion, and Marie's parents were Pierre Hache and Anna Dumond of St. Malo. According to Poitou genealogist Allain Bourreaux, this Nion may be, Niort, (department of Deux-SËvres (zipcode 79). Also, Delormo is not a name from Poitou, but DELORME is. Chatelain - Jacques (Chaulin, Chatlin) Chatelain" born 1672 at Chassy, Burgundy, France arrived July 20th, Ship Island,Province of Louisiana, aboard the "LeTilleul" and he married Ann Fanay Of Mare, Champagne, France, according to descendant Scot Chatelain. There are families of Chatelain living in France and Switzerland today, so we assume the family may have orginated from the border region of these two countries. Jacques lived in the Mobile, AL area before his descendants made their way to New Orleans in the late 1700s, then into Avoyelles. Chenevert - Moise Morin dit Chenevert, a soldier, was from St. Andre Parish, Niort, Diocese of Poiters, Poitou, France. He migrated to Canada where he married in 1707. He was the forefather of the Chenevert family of Avoyelles. Christophel - George Christophel, forefather of the Avoyelles family, was from Barus near Saar Louis, Germany. Descendent Ray Christophel states his ancestor first settled at what is now Hamburg, LA. - the area getting its name from the German settlers of which Christophel was a member. Coco - Dominique Baldony dit Coco native of Nice en Provence (Savoy), Italy (Now France) Nice is on the Mediterranean Sea in SouthEast France. DeBELLEVUE - Two brothers settled in Marksville - both were early judges and both were of the family Barbin deBellevue, translation: Barbin of Bellevue. Bellevue was the name of the massive plantation in southeast Louisiana. Lt. deBellevue was the commander of the Marines at the famous Battle of New Orleans in 1815. The Barbin and DeBellevue families are from Melun, near Paris. DESCANT - Jules M. Descant, son of Dominique Descant, was born 1840 at Bordeaux , department of Gironde, in southwest France. DESSELLE - The Desselles Family of Louisiana and Avoyelles trace their origins to France. The family came from Noari, France, then to Montreal, Canada, then to Louisiana, first in Pointe Coupee and finally Avoyelles Parish. The first generation, Gabriel L. 3Celles-DuClos , born at Norai, France before 1650s migrated to Canada. Five generations later, Lambert Deselles dit DuClos migrated from Canada to Louisiana, eventually settling at Avoyelles. Deshotels/Deshautelles - Pierre Des'Autel, son of Thomas Des'Autel & Marie Busion, of Malicorne, Diocese of Mans, Province of Maine, France. Mans is probably same as LeMans west-southwest of Paris between Paris and the Atlantic Ocean. DeVILLE One of the few non-Catholic French families of Avoyelles, this family came out of a French Hugenot family which originaly settled in South Carolina and made it to Rapides by the late 1700s. Some made it into northern Avoyelles Parish. (Atlas of Louisiana Surnames, LSU Geoscience Press) DeWAILLY - Alphonse DeWailly, who came to Avoyelles, was the son of Louis DeWailly who was mayor of Amiens, in northern France, between Paris and Belgian border. DIDIER - Jean Pierre Didier migrated from France to Louisiana in the second major wave of migration to Avoyelles. According to a descendant who has researched his ancestry back into France, Jean Pierre was born as a Didierjean, but shortened his name. He was from the Alsace-Lorraine region of France, and towns which may be associated with his origin include: Glonville, Montigney, Gagney, Lamont and Breauxville. DOMAS - Jean Ovide Domas migrated to Avoyelles from France where he was born 1835 at Clermont-Ferrand in the department of Puis de D*me in central France. DRAPEAU Descendant of Antoine Bordelon through his second wife, Frederick, are descendants of her mother's Drapeauline. DROUIN - The Avoyelles Drouin family descends from Leon Drouin, born 1822 at Bordeaux, in Southwest France. DUBROC - Joseph Dubroc, II, was a native of the German Coast upstream of New Orleans, and is the forefather of the Dubroc family of Avoyelles. His wife, Marie Joffrion, born 1765. DUCOTÈ - Pierre DuCote dit Coureur, born about 1691, native of Flanders, France. The ancient Countship of Flanders, is now part of Nord Pas de Calais in the northernmost tip of France, as well as the area of Flanders in Belgium. Coureur meant woods runner, trader, similar to the English word today: courier. Ducote first married Antoinette, an Indian, who died apparently without children in 1747, then he married Marie Cable, a native of Germany. They had two children, one male to carry on the name, and the other a daughter who married Joseph Carmouche. DUPLISSEY Although not in Avoyelles anymore, the ancestor of all of the DUPLISSEY line lived in early Avoyelles. Dominique Plessy (real name) came from Bordeaux, France. Him, parents and brother went to Saint Domingue (now Haiti) and lived. They had to leave there because of slave uprising. Could not go back to France because of French Revolution. They came to Louisiana by boat. It is said that the father of Dominique, died in Saint Domingue. He was killed in the uprising. The mother and two sons ( Dominique Plessy and Francois Germain Plessy) came to New Orleans, Louisiana. They were both business people. Dominique Plessy was a merchant in New Orleans. Dominique Plessy moved to Avoyelles Parish about 1815, possibly because he had relatives living here. He was involved in buying and selling land. He bought and sold slaves. He had a boat that carried cattle, slaves, and other goods up and down Mississippi River to New Orleans. When Dominique Plessy died by accident in Avoyelles Parish, his children were sent to live in the wilds of Natchitoches Parish. This is when the last name was changed to Duplissey. Dominique is the head of all DUPLISSEY family in Louisiana. Dominique's brother, Francois Germain Plessy, stayed in New Orleans. He went by the name Germain Plessy. He lived with a part black woman and had about seven children. Germain is the head of all Plessy family in Louisiana. A grandson of Francois Germain Plessy was Homer Plessy of the famous court case, Plessy vs. Ferguson. Dupuy - Francois Dupuis, born 1725 at Saintonge, Province, France. Saintonge Province is now in the Gironde Department of Southwest France near the Atlantic Ocean. Durand - Alphonse Durand, (and probably Adrien and Nelson Durand), was a native of Beaumont where he was born in 1812. This is in the Dept of Dordogne, east of Bordeaux in Southwest France. ElichÈ - Marksville's founder, Marc ElichÈ, was a native of Venice, Italy. He was a peddler, and legend states he was in the area of Marksville when his wagon wheel broke, so he just stayed and set up a store on what is today the northwest corner of Main and Ogden Streets in Marksville. Ironically, another Avoyelles area carries the name of yet another Italian immigrant of early Avoyelles. The area of Cocoville, south of Marksville, is named after the son of Dominique Coco, who like his comrade Marc Eliche, was an Italian peddler. EscudÈ - The EscudÈ family stems from Phillipe EscusÈ or Escudieur, who was born about 1816-1820 at Hautes-Pyrenees, in the southwest corner of France along the Spanish border. Fuqua - The family descends from Charles Fouquier (also spelled Fouquerres and Fuqua), a native of La Havre, France. He married Helen Aymond of Avoyelles about 1805. They apparently lived in Ward One. Gagnard - Jacques Gaignard, native of Nantes, France. Nantes is near the Atlantic Ocean in Western France in what is today in Pays deLaloire Department. Jacques Gaignard was the first commandant appointed to head the Spanish Military Post of Avoyelles in 1783. He and his wife, Ursule Juneau, are the ancestors of the Gagnard family. Gaspard - The Gaspard and Normand families all descend from Jean Gaspard-Normand of Ige, France. Daniel Nomand called Gaspard is the forefather of the Gaspard family of Avoyelles. His brother, Jean Pierre Normand is the ancestor of the Normands of Avoyelles. See more information under the family name Normand. Daniel Normand Gaspard married Francoise Materne, whose grandfather, Johann Materne was a native of Rosenheim in Upper Alsace, France. This part of France is identified with the German culture. Rosenheim is probably the same as near Rosheim, in Upper Alsace (district 67), France. 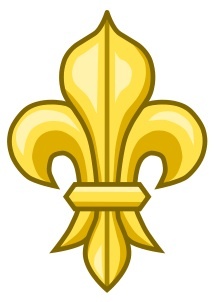 Gauthier - Rene Gauthier, a soldier, native of Moulins, near Fougeres, France, migrated to Louisiana in 1719 on boat La Marie from La Rochelle, married at Natchitoches in 1742 to Jeanne Lureent, also a native of Fougeres, Diocese of Rennes, Brittany. Fougeres is in Brittany, near the boundary with Normandy. Their son, Guillaume Gauthier migrated to what is today Mansura. Goudeau -Francois, born 1713, & Michel, born 1808 both at La Rochelle, France, a large port town on the Atlantic Ocean. Grandpierre - Antoine Granpierre›s gravestone in the old Marksville cemetery states he was a native of France. Guillory - Avoyelles Gullory family stems from the immigrant, Simon Guillory, who was born 1646 at Chartres sur Cher, Diocese of Blois, formerly part of Orleans Province, now part of Loire at Cher (district 41), located just a five minute drive West of Vierzon, France. Guillot - Pierre dit Dufresne, native of Reims, France in northeast France wine regions (and where WWII ended by treaty). He lived in 1750s in Pointe Coupee, and by 1785, three of his sons, Joseph, George, and Mathurin Guillot moved to Avoyelles where they established the Guillot family. In an earlier book, Nelson Gremillion stated that Pierre Guillot was a native of Lyon, France. Ingouf - Louis and Jean Ingouf of Avoyelles were natives of Barneville, a port town on the English Channel, Normandy, in northwest France. Izard - Avoyelles Frenchman Florimonde Izard was from Marseille , a major port town on the Mediterranean in the South of France. Joffrion - Pierre Joffrion, was the first of the family to migrate from France. He came to Canada. Pierre Joffrion was born 1644 at Fontenay le Comte, Poitou, France, 110 miles due north of Bordeaux. Ira Couvillon wrote that oral history told to him by old timers in the early 1900s was that the Joffrion family migrated together at the same time with the Couvillon family from Canada to Louisiana. Juneau - Jean Jouineau, native of La Rochelle, & his son Pierre, came to Quebec, Canada about 1653. Jean›s great-grandson, Claude Juneau later migrated to Pointe Coupee and is the forefather of the Avoyelles branch of this family. Juneau, Alaska, was named after a cousin of Claude. LaCombe - Jean Baptiste LaCombe, believed to be the first LaCombe in Avoyelles, was a native of Condae, Paridord, France. LaFargue - Adolph Lafargue, forefather of the Lafargue family, and early publisher and founder of Marksville High School, was a native of Orthez, Dept of PyrÈnÈes, in the southwest corner of France. Lamartiniere - Joseph Lamartiniere (b. 1818) from Savoie France and Marie Marguerite Pairis (b. 2/4/1830, from Liepvre France) immigrated to New Orleans and were married at St. Ann Catholic Church on June 11, 1854. A son, Joseph Francois Gregoire Lamartiniere was born on August 26, 1856 and was baptized in the St. Louis Cathedral. Anticipating the Union Troops arriving in New Orleans, Joseph took his family up the Mississippi and Red Rivers to Cassandra (Avoyelles) where he opened a trading post/general store. Joseph Lamartiniere died in 1868 and was buried in the Cassandra cemetery on the banks of the Red River. His grave eventually washed away as the river changed course. Marie Marguerite was a tall thin woman with flaming red hair that almost touched the floor. She pulled it back, braided. She was well educated and could read and write French. She taught local children their catechism prayers in French. She passed away on 2/12/1908 and is buried in the Echo Cemetery. Lubarre - Bertrand Lubarre was born 1830 at Fontrailles, Dept. of Hautes-Pyrenees , in extreme southwest France. Mayeux or Mayeaux - Pierre Mayeux born 1699 at Maintenoy, ( Maintenay), Bishopric of Amiens, Picardy, in northern France between near the Atlantic Coast and Belgium. Sailed from LaRochelles, France for Louisiana in 1720 on the ship La Profound. Pierre, a wagon driver, was one of only two men spared by the Indians at the Natchez Massacre in 1729 - as he was needed by the Indians to transport the goods of the massacred victims. His occupation saved his life, and the beginning of the Mayeux name in America. Three of his grandsons moved to Avoyelles from Pt.Coupee and began the family name here. Michot - One branch of the Michot family of Avoyelles stems from Eugene Michot who came to Barbin›s Landing after the Civil War. His ancestor was from LaCharitÈ sur Loire, in central France. Eugene HonorÈ Michot, his father has a proven royal line through the Daspit-St. Amant family of New Orleans. See: http://www.geocities.com/BourbonStreet/Delta/1725/cdf_1.htm for a history of the St. Amant-Daspit family. Monin - Francois J. C. Monin, moved to Avoyelles. He was born 1810 at Soulce, (probably Soultz), Dept of Doubs, in east central France along the eastern border with Switzerland. Moulard - Antoine Moulard, native of Geneva, France (now in Switzerland), migrated to New Orleans in 1785. He is the ancestor of the Moulard family of Avoyelles. The Moulard's of Avoyelles have Acadian blood, as the Avoyelles Moulard ancestor married into the Acadian family of Bourque. Neck - George Neck immigrant of Avoyelles was born in 1812 at Lieprve, dept. of Haut-Rhin, France in the Alcase-Lorraine region of northeast France along Germany border, according to Louis Neck. Mrs. Neck, Rose Grelot, may have been from Azeralles, northwest of Baccarat, between Luneville, or from Plaine, 30 km. northwest of Lieprvre, according to research by Bobby Michot. Jean le Normand of France was the first of that family in Canada. He was the son of Gervais le Normand and Leonore Janet. Jean's paternal grandmother was Anne le Laboureur, daughter of Thomas le Laboureur and Marguerite Bardin of Caen, Normandy. Jean Gaspard Normand's mother, Francoise Jean, was born at Quebec, daughter of Denis Jean and Marie Peltier. Denis Jean was the son of Elie Jean And Elizabeth Lambade (Lambert) of Saintonge. Marie's parents were Nicolas Peltier and Jeanne Voisy of St. Pierre de Gallardon Parish, Beauce in Orleanais. Jean Gaspard Normand, born 1712, his wife, and four sons (Jean Pierre, Daniel, Joseph, and Laurent) moved from Canada to St. Charles Parish, Louisiana, about 1765. Jean Gaspard Normand's wife was Marie Josephe Chenier, great-granddaughter of Jean Chenier, native of Celles, Saintonge Province and the first of his family to migrate to Canada. His wife's parents, Louis Sedilot and Marie Grimoult, came to Canada from Paris, France in 1637. Jean Chenier, the grandfather of Marie, married a Ferret, whose parents were both natives of the diocese of Rouen in Normandy. Her mother's parents surnames were Duboc and LeBaron of the city of Rouen. Rabalais - Jean Baptiste Rabalais, the family patriarch, was a native of the city of Rochefourant, Province of Poitou, France. On the Atlantic Coast in central France. He married in 1733 at New Orleans to Marguerite Bellanger, a native of Sceaux, a suburb of Paris, daughter of Jacques Bellanger and Catherine Garboise. She was the widow of Joseph Ducro who was killed in the Natchez Massacre in November 1729. Celeste Rabalais was the first white child to be baptized in Avoyelles, as noted in the margin of the first baptism book of St. Paul's Catholic Church. Genealogist Allain Bourreaux, who lives in the Poitou, France and is director of a GenWeb page in that area, feels that Rochefourant is probably Rochefort, in the department of Charentes Maritimes (zip 17) located on the Atlantic Coast, near La Rochelle. The Bordelon family ancestor was also at Rochefort at one time. RebouchÈ - Joseph RebouchÈ, who came to Avoyelles, was born at the province of Lorraine on Dec. 8, 1810. Lorraine is in the northeast part of France. Regard - Feverol Regard came to Avoyelles from laJoux, department of Jura, France, located along the Switzerland border of central France. Reynaud - Pierre, Victor, and Eugene Reynaud, who moved to Avoyelles in the mid 1800s, were natives of Poligny, Department of the High Alpes, France, located in southeast France along the Italian border. Ricaud - Augustin Ricaud, born at Compristrous, France. He came to Avoyelles in mid 1870s. RichÈ - The forefather of the Riche family is Louis RichÈ, born c1708 at Beaudais, Lorraine Province, Bishopric of Metz, France. Louis RichÈ died at Pointe Coupee, La. in 1749. Roule - Louis Roule, Avoyelles immigrant, was born at Moulins, Department of Nievre in the center of France. Roy - The first of this family to migrate from France to Canada was Nicholas Roy, who married, at St. Therese Parish, Dieppe , Normandy, France in 1633, Jeanne LeLievre. This couple settled at Quebec, and their great-grandson, Joseph-Marie Roy, came to Pointe Coupee and is the forefather of the Roy family of Avoyelles. SAYER - Probably descends from Jean Baptiste Sayer, born at Saint Sauveur, Department de la Merte, France, on June 30, 1835, migrated to New Orleans 1856, according to his citizenship application. St. Romain - Antoine St. Romain, II was a native of Bat. Ranne, Diocese of Cahors, Quercy, France. He married in 1737 at Canada. The St. Romain family of Avoyelles stems from this couple. Bat Ranne has not been identified by genealogist of Quercy so far, and we believe this is a misspelling of a similar named town, perhaps Saint Renne or similar. More research is needed. Quercy is an ancient princedom, and Cahors is the center and largest town of this ancient area in southern France, east of Bordeaux. ZIMMER Early members included Nicholas Zimmer. The Zimmer family originated in the Alsace Lorraine Region, and migrated before the Civil War to the Cocoville area between Mansura and Marksville.